John Patrick Fennacy, 50, pleaded no contest to a single felony charge of grand theft over $950. Prosecutors dropped an enhancement alleging he stole more than $65,000 worth of property. 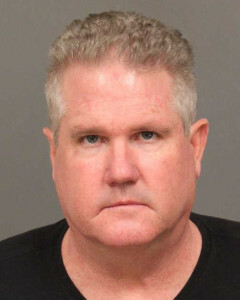 The San Luis Obispo County District Attorney’s Office initially alleged in a criminal complaint that Fenncay embezzled at least $65,000 from a client’s trust fund. Fennacy allegedly embezzled the money between November 2012 and November 2013. Fennacy specialized in elder law and estate planning, according to his website, which is no longer online. From January 2012 to May 2014, Fennacy served on the Morro Bay Planning Commission. He also co-owned owned Brickhouse BBQ in Morro Bay. Fennacy’s son now has full ownership of the restaurant. Fennacy faces a maximum sentence of one year in the San Luis Obispo County Jail, five years of formal probation and 100 hours of community service. He must also pay an undetermined amount of restitution. Likewise, Fennacy must forfeit his law license immediately and agree not to practice law again until he completes his probation. His sentencing is scheduled for Dec. 8. Fennacy got a raw deal. Michael Blank was allowed to resign from CRLA due to “discrepancies in his billing”. Not hard to figure out what that means. He didn’t do a day of jail time. Getting fined and ordered to pay restitution is fitting for the crime….although, if it was me, I would wish him more time in jail. The claim that his problem was a “descrepancies in his billing” is ludicrous. Lol! He forgot to get ELECTED to a public office (or appointed) BEFORE stealing from others… sheesh. I thought that was pretty clear around here. All you back biting dogs can howl while I eat at his BBQ. The question is…would you buy a used car from this man?????? This guy was walking around the City, BBQing on Morro Bay Blvd., made a name for himself when he lead the attempt to recall our Mayor! Good grief, Morro Bay citizens don’t deserve people like this living among them! Certainly doesn’t seem to be enough punishment. The elderly deserve better treatment! and when they are scammed our government needs to come down hard on the criminals who prey on them. He did have friends in high places until they were voted out, thank God. A license to steal? They are like termites, if you find one there are many. Not practice law until he finishes probation, why does he get to practice law ever again? I hope he is ordered to pay back every stinking penny he took. Charges are dropped from 65k to 950.00 great job DA. Just get a conviction no matter it is pennies on the dollar, and it shows good on YOUR record. Are you concerned at all with the elder person he stole from? Obviously, not. More of get yours first, damn the effect it may have on others.